A roller coaster can flip you upside down and spin you this way and that. You know exactly what’s coming. But there’s another, completely different kind of thrill that tricks your mind and challenges you to see what’s really there. 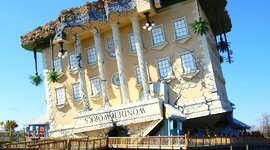 We’ve highlighted four Myrtle Beach attractions that offer vacationers some of the craziest, mind-bending illusions known to man. 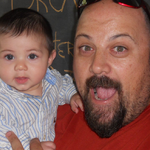 For kids, the thrill of illusions is even more powerful. It’s easy for them to be mystified and awed by things they’ve never seen before. And teens too can be just as easily fascinated by something extraordinary. Additionally, these attractions make a great rainy day activity for kids while also challenging them to solve puzzles and learn new things about the world. Ripley’s Believe it or Not is an entire museum dedicated to the anomalies of the world – strange animals, aberrations, and obsessions. Walk past a shrunken head or replica six-legged cow. Explore the legends of the vampires and take a family photo with a scale model of the world’s tallest and shortest known humans (next Holiday card?). The museum, or Odditorium as it’s known, changes its exhibits regularly. Keep in mind that it’s better for kids over 8 because it requires a lot of reading and is set up like a traditional museum with displays and information. 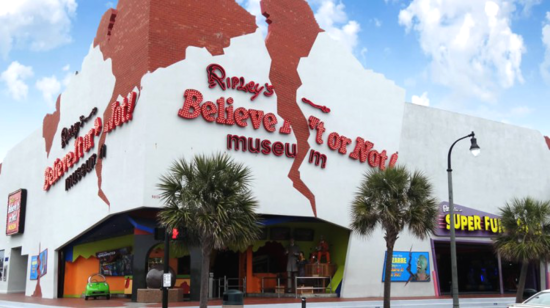 You can buy a ticket for all Ripley’s attractions in Myrtle Beach and have up to a year to use it. Where Ripley’s is more of a traditional museum, WonderWorks is a science laboratory for kids. There are over 100 hands-on exhibits that don’t just teach kids about the world, they show them how it works. Kids can see how electricity works with a tesla coil that shoots 100,000 volts, experience what it feels to be in a category 1 hurricane, and explore the world with a 3D version of Google Earth. Trust me it’s a safe lightning bolt. This Myrtle Beach attraction even has a zipline and laser tag. Kids will leave this place tired and anything but bored. 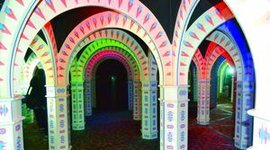 Myrtle Beach has lots of mirror mazes that challenge you to navigate through trickery and infinite mirror images. You’ll think you reached a passageway and walk into yourself. You’ll think you reached the end and wind up at the beginning. Some kids, especially older ones, can solve these mazes in a few minutes. But if you take you’re time, some mazes will take up to an hour. 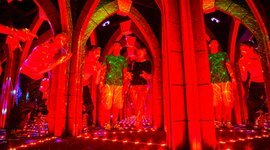 Check out Ripley's Mirror Maze, Backstage Mirror Maze, and MirrorMaze USA. 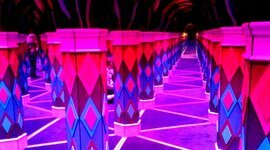 Backstage and MirrorMaze USA are the largest at over 2,000 square feet, and have a fun laser maze where kids can sneak through lasers like they’re part of a spy mission. 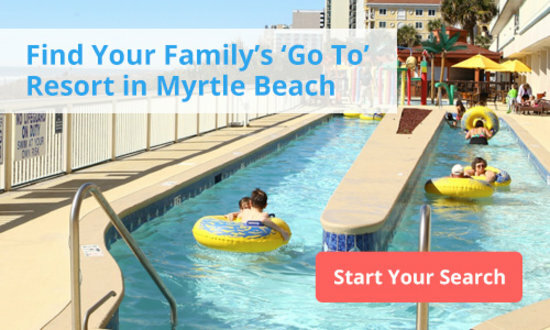 When you come home from your family vacation, I’m sure your kids won’t stop talking about this Myrtle Beach attraction. 7D movies are the new 3D! 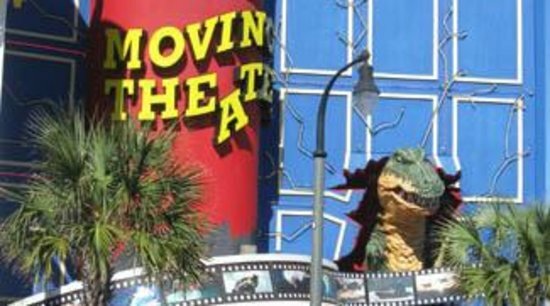 I didn’t even know there was a 7D movie, until the last time I went to this Myrtle Beach attraction. Well it’s not actually 7 dimensions. What I mean by that is it puts you even further into the experience. These theaters add moving seats (seat belts required), screens that wrap around the walls and ceilings, and all sorts of crazy special effects that make you feel like you’re actually in the movie (or that it’s coming out at you). 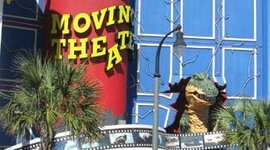 You can choose from lots of different short films, some of them 10 minutes long, including the masterpiece, “Avatar.” There are two moving theaters in Myrtle Beach. 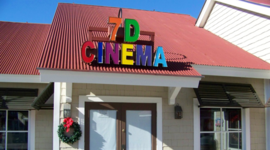 Check out the 7D Cinema in Barefoot Landing and Ripley’s 5D Theater. Both make for a one-of-a-kind thrill of virtual reality.